With the cooler months approaching here in NY, it’s the perfect time for me to use the Coconut Shea line by EDEN BodyWorks. I have extremely dry, eczema prone skin year round, so the more moisturized I keep my skin, the better. EDEN BodyWorks was kind enough to send me their Coconut Shea Body Wash, Body Lotion and Hand Cream, so here’s the scoop! I am IN LOVE! All of the products smell like heaven, with a light coconut scent. The Body Wash has a creamy lather and a little goes a long way. Follow that up with the Body Lotion and your skin will thank you. It moisturizes, absorbs quickly and doesn’t leave you feeling greasy. My favorite of all is the Hand Cream! 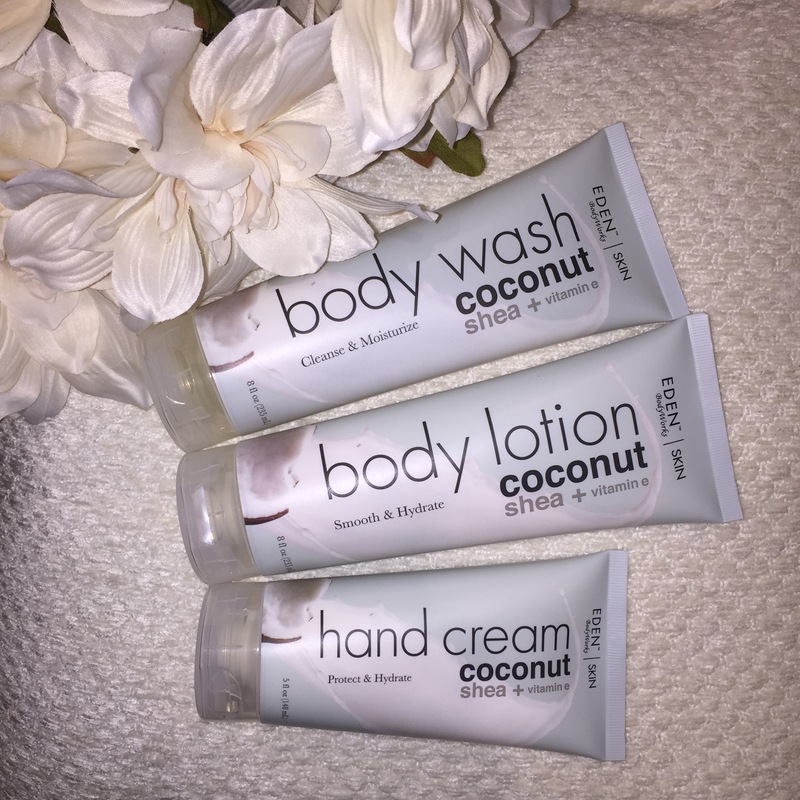 I’m a nurse and I’m constantly washing my hands, but I sure don’t need “nurse hands.” I’ve been following up my hand washing with the Coconut Shea Hand Cream to keep the dryness away. I think I’m all set for Winter! Definitely try EDEN BodyWorks’ Coconut Shea Body Wash, Body Lotion and Hand Cream. Thank me later!